It may be easy as a sole trader to keep track of but what if your business has 5 or more engineers with several qualifications due to expire at different times? 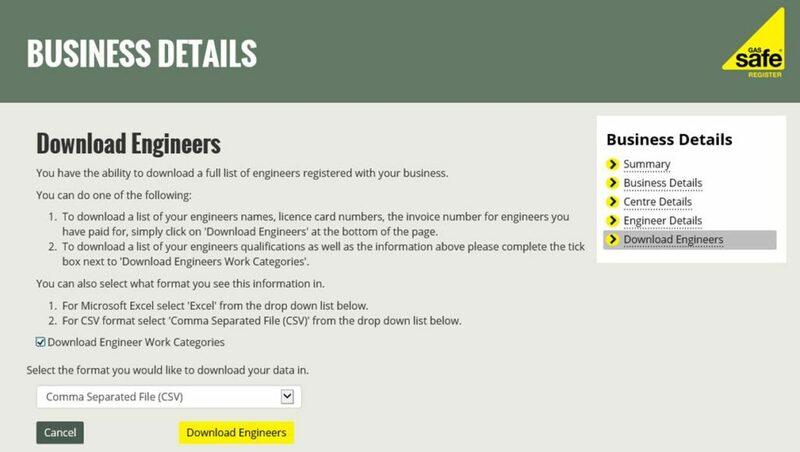 Gas Safe Register has a section which allows you to download a spreadsheet (CSV or Excel) providing you with a list of all the engineers registered with a given company, along with their qualifications and the expiry date. It’s a useful tool but it still involves a little house-keeping and you may not have the time or resources. This is the section for Gas Safe businesses. As you can see “Download Engineer Work Categories” has been ticked and CSV has been selected. With a bit of excel expertise we can keep track of expiry dates and issue reminders should you need them. If you would like us to keep track of your engineer’s qualifications simply log in to your GSR company account and export the spreadsheet as a CSV. You can then send it to us enquiries@Logic4training.co.uk so that we can work out what needs doing and when.